Hi, my name is Dave Fitzpatrick, and I am the Guest Blogger for SnickerdoodleDesigns today. Before saying anything else, I would like to thank Karen for her advice, encouragement, and support during the development of ScrapPage. A little about me: I live in South Western Ohio with my wife and Izzy, our mixed Calico and Tiger Stripe kitty. Both of our children have graduated from college…our daughter just last week…so we are officially empty nesters. I have long been interested in graphics and video and have been writing software for this field for years. Most of my earlier work was directed to producing software in support of video, particularly slideshow videos. I own MediaDigitronics LLC. 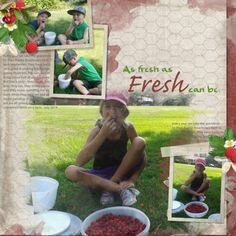 A few years ago I became interested in page layout and scrapbooking. I’m a lifetime Photoshop user, but I realize that many scrappers are intimidated by its steep learning curve. Photoshop is a great program, and my goal was not to replicate it. I did want to design a program that would be more intuitive and less demanding. 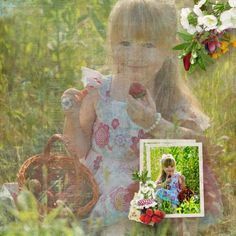 I sought to include features that are needed for creating a great page layout, and to make the creation process as simple as possible. That vision is what became ScrapPage. The feedback I received from Test Groups is that ScrapPage a simpler and much faster alternative to Photoshop. To introduce you to ScrapPage, I made a couple of videos demonstrating how ScrapPage is used to create a scrapbook page layout. For this demo, Karen was kind enough to let me use her beautiful “My Little Chickadee” kit. I mixed some papers, clusters, and design elements from the kit to build the page. I apologize if I go a bit too quickly at times in these videos, but this is just a demonstration, not a tutorial. The ScrapPage Help System comes with a complete set of tutorial videos to show you how to use all the features of the program. Graphics programming has long been my passion, and it is now with great pleasure that I release ScrapPage to the public. I hope you will find ScrapPage a useful addition to your scrapbooking toolkit. To introduce ScrapPage to the scrapping world, I am having a RAFFLE where TEN lucky winners will receive a FREE copy of Scrap Page. Head on over to my site and enter now! ALSO, TEN $5 coupons to Karen’s store will be given away. Your entry into the raffle (either at Dave’s site or Karen’s site) will also include you in the coupon raffle. That’s THREE ways to win something fun! Winners will be chosen by Random Draw on Saturday, May 14th. Karen will post the names of the winners on her blog, so be sure to mark your calendar and check back on that day! THIS PROMOTIONAL RAFFLE HAS ENDED. THANK YOU FOR YOUR PARTICIPATION. 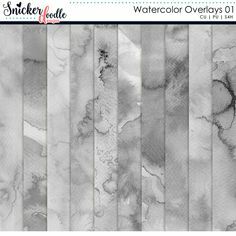 I bought photoshop elements, but would love a simpler program to use for my digital scrapbooking.